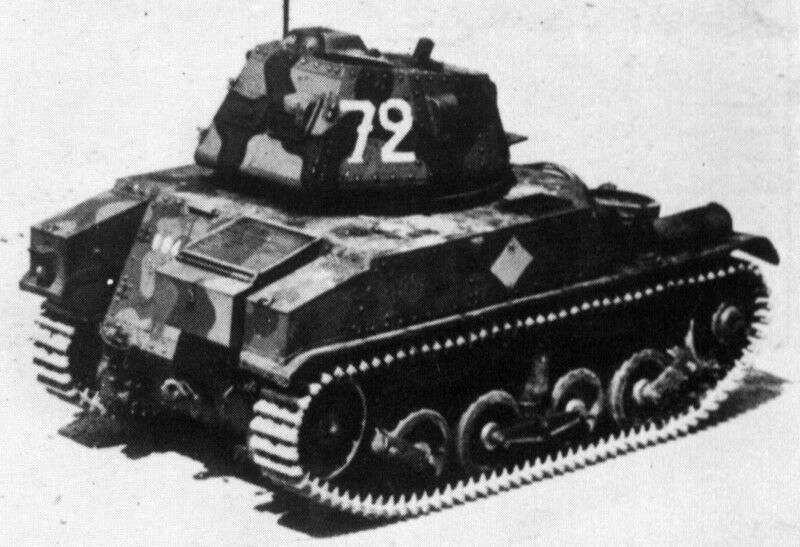 Arguably the most obscure French tank in 1940, only a few AMC 34s were built, as a preseries, before a change of specifications made the design unfit, as its light hull couldn’t sustain thicker armor. Eventually, this would lead to the production of the AMC 35, a much better tank, which arrived too late and again, in too small numbers, although promising. At the origin, it was part of the several automitrailleuses types being looked into in 1931 for the cavalry, with the looming specter of the massive Red Army. The 9-tons Automitrailleuse de Combat (AMC) was to be capable of cruising at 30 km/h (19 mph) cross-country and armed with a 47 mm (1.85 in) main gun. The plan was approved by the Supreme Command in December 1932. 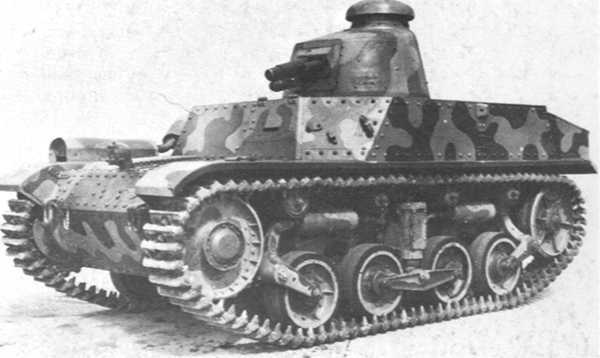 Renault was already working on the Renault VO design in 1932, an alternative to the future AMR 33, a fast tank with a welded hull, although after some afterthought the plans were modified to a riveted hull. Too heavy, it was scaled down and presented as the Renault YR to the Commission de Vincennes on 12 October 1933. It was tested by the Section Technique de la Cavalerie, which requested that the fuel tanks be enlarged, the clutch modified, as well as the gearbox. Eventually, on On 9 March 1934, twelve pre-series vehicles were ordered, turret-less. 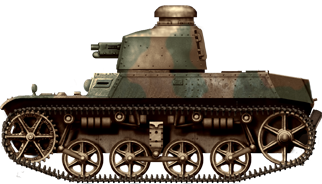 The AMC 34 was not a tankette, but a light tank, mostly due to its weight of nearly 10 tons, but it was certainly a small, stubby thing with a length of only 3.98 m and 2.07 m width. 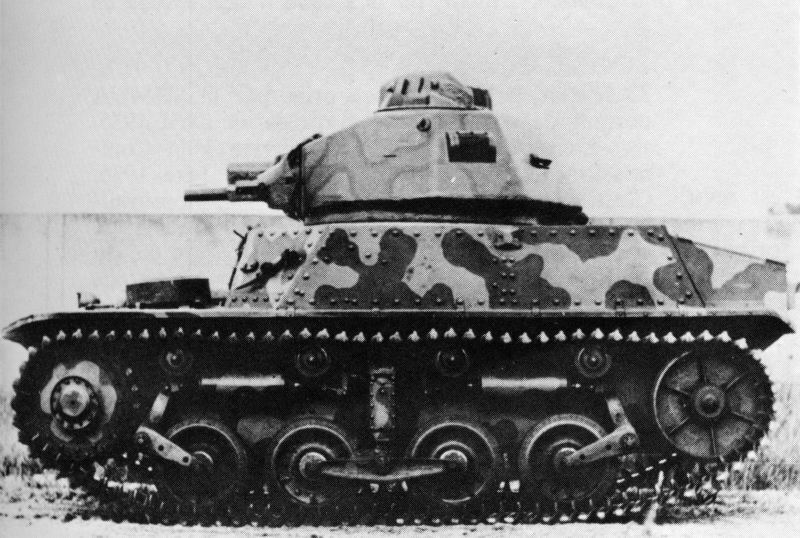 The suspension was directly borrowed from the AMR 33 tankette, and was heavily influenced by the British Horstsmann system of horizontal coils and springs. Production vehicles, however, received the suspension later used on the AMC 35, consisting of a central bogie with a vertical spring, with two wheels in front and behind, each with an oil-dampened horizontal spring. The AMC 34 was propelled by a right-placed Renault gasoline 7.125 liter 4-cyl 120 hp engine mated with a 220 liter fuel tank. This gave the vehicle a top speed of 40 km/h (25 mph), which was average for cavalry at that time, and overall range of 200 kilometers (125 mi). The driver sat on the left part of the hull, with a hatch above him and escape door behind. Made of riveted steel plates, the armor was 20 mm (0.79 in) thick on all main vertical surfaces, and 8 mm (0.31 in) everywhere else. 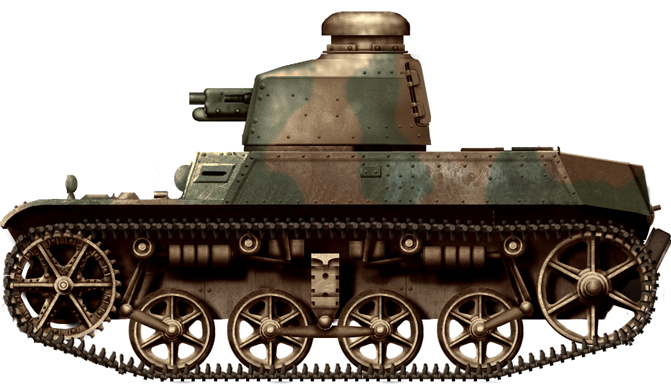 The first units fielded in 1936 (4th Cuirasssiers) had reshaped Renault FT turrets, and were later given surplus APX1 turrets and SA 34 47 mm (1.85 in) guns (designed for the Renault D2 medium tank). 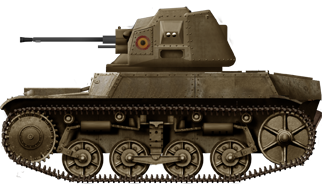 In 1937, they were shipped to Morocco and received their final turret, a small, one man model made of partially riveted steel plates, housing a short 25 mm (1 in) gun and coaxial 7.5 mm (0.29 in) Chatellerault model 1931. 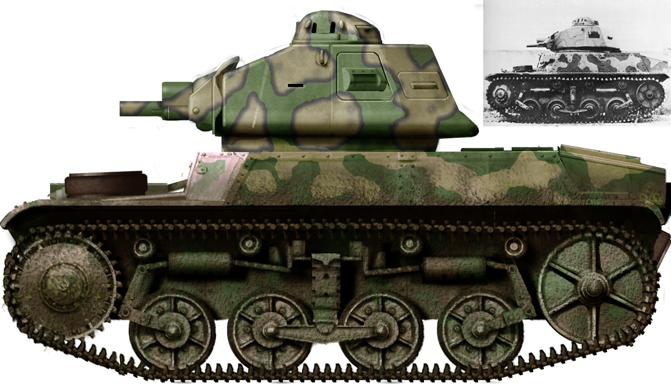 However, these new guns were not available before 1939 and the tanks were also fitted with the two-man APX2 turret model, resembling in effect the AMC 35. Final modifications included an ER 28 short wave radio set, extra, better protected fuel tank at the back and safer horizontal ventilation grille. As stated above, the AMC 34s were first used by the 4th Cuirasssiers in the metropolis in 1936, before being shipped, in December 1937, to the colony of Morocco, were they equipped the 1st and 5th Régiments de Chasseurs d’Afrique (RCA). By November 1939, they were to be replaced by the Hotchkiss H39. After that, three were retained for driver training and the nine remainder were kept in secret, but their fate under the conditions of the Armistice remains a mystery. They don’t appear on the armistice list and were probably hidden or simply scrapped. 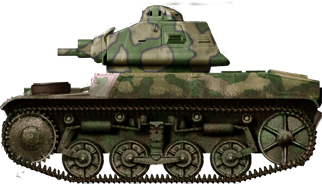 The Belgians also intended to use the AMC 34. 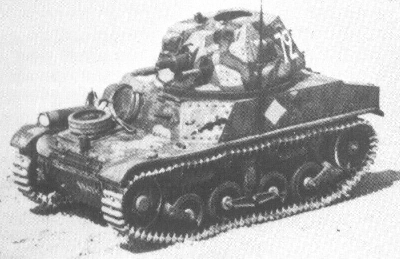 A 1935 Belgian program, requesting six cavalry regiments with an organic squadron of twelve tanks, mentions that the Renault AMC 34 was confronted with the Vickers Mark F and won the competition in November 1934. 25 were ordered in 1936 at 360,000 French francs apiece, along with 25 APX2 turrets. These were to have an improved configuration and deliveries were to start from October 1935. However, massive strikes and financial difficulties meant meant a three year delay and, in the meantime, the AMC 34 program was cancelled. The turrets were however delivered and used in coastal fortifications and other emplacements. The Belgians bought the better AMC 35 instead. 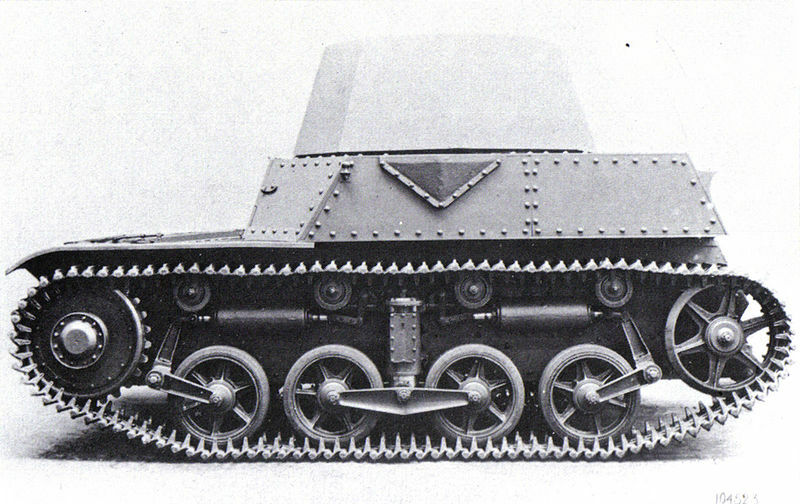 AMC 34, early model with the 1917 cast Berliet turret. 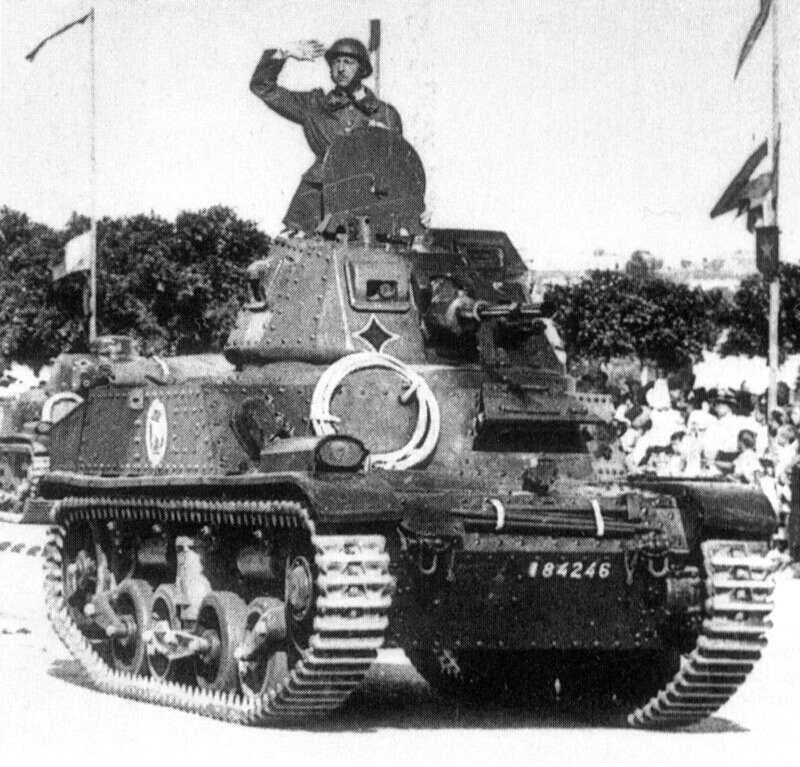 AMC 34 with the definitive APX-1 turret, Chasseurs d’Afrique, Morocco, 1940. What-if Belgian AMC 34 with the APX-2 turret and 25 mm (1 in) gun, later replaced by Belgian 47 mm (1.85 in) guns. According to wikipedia (which is certainly not the most trustful source) “Only after a delay of over three years the hulls (AMC-34s) were exported in the reduced number of ten; they were then almost identical to the AMC 35”. (Georges E. Mazy, 2008, “Les Autos Blindés Lourds du Corps de Cavalerie Belge 1940”, Histoire de Guerre, Blindés & Matériel, N° 84, p.19) So perhaps the author or sources he used confounded indeed these with AMC-35s (ACG-1s). I have no photo to back this, the drivetrains are quite different. Don’t want to create a fake anyway. Further researches are needed. The text was revised in that sense. The AMC 34s that were ordered by Belgium were never built or delivered, only the turrets were. The text has been modified. You have a mistake in specifications. Top speed was 40 km/h not 89 km/h. Yes, it sounds implausible but I’m no expert. So I found the “3t” weight odd, and according to Wikipedia it’s 9.7t, which I guess is more believable?